On December 2018, we lost a dear friend, business partner, father, mentor and great ambassador of Karamoja’s development through sustainable tourism and cycling. Paul grew up in Uganda, he moved there when he was 6, his father ran the fertilizer plant in Tororo and Paul would go to Karamoja, the Northeastern part of the country, on Safari. He never forgot his roots in there and when the wars were ending there and everyone was afraid to go there, he decided that we should send 5000 bicycles, train the people and as they settled into camps, provide mobility and to help the people move towards a better life. Karamoja was truly off the grid, no economy, no roads, nothing and when I first went there , I fell in love with the people, the people Paul loved. Ben Stiller had been there with Save the Children at the same time and Ben joined us to help get bikes to this region, which together we did. The collaboration between Kara-Tunga started when Paul sponsored one of his beautiful safari vehicles for us to make a regional promotion video called Discover Karamoja with a team of German filmmakers in February 2018. The video production took 3 weeks and touched the hidden gems of northeast Uganda that many have never imagined Karamoja would withhold. Paul joined us in Pian Upe Wildlife Reserve and set up a bush camp for two nights that became a highlight of the video. 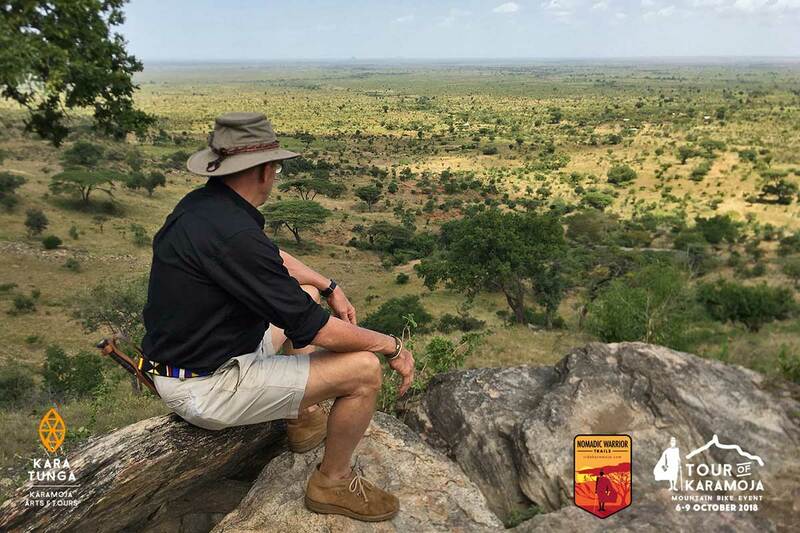 Without much preparations Paul’s friend Pat Montani and Theo Vos of Kara-Tunga decided to press the button and in 3 weeks before the event took place they announced the first of its kind Tour of Karamoja 2017. Paul and Pat through all their trust in Theo and Mama Florence to organise the event, lay out the trails and community where the event would sleepover for a night. This was a leap of faith for all of us and it was the start of a collaboration that all of us confidently believed in. 25 people believed in our crazy idea and joined the event that took place along the border of Kenya and Uganda over the lush foothills of Mt Moroto and the colourful people of the Karamojong and Turkana tribes. The second Tour of Karamoja was an enormous step forward. Paul visited a couple of times between his commitments for the Tour de France and Tour of California to find a location using his remarkable inner compass, feeling for the bush and loads of experience in logistics and events like the 10to4 Mt Kenya event. 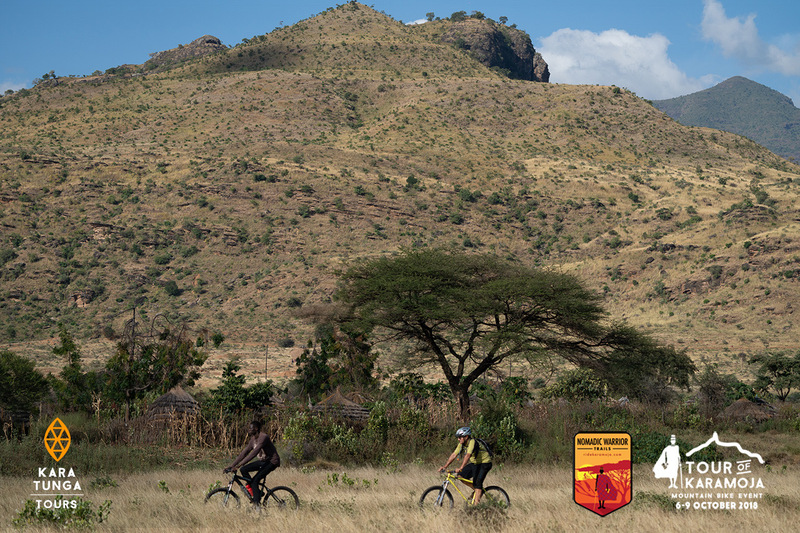 When Paul was in commentating for the Tour of California, a team came over to Mt Moroto to develop the trail network and camp site for the 2nd Tour of Karamoja. The tour took place over 2 days and draw 50 people and was thereby the largest mountain bike event in Uganda. One of the most well-known and familiar personalities in cycling, his career as racer and later as broadcaster stretched decades. In March 2018 Pat flew to Uganda and travelled almost directly with Paul to Karamoja with the purpose to discuss further collaboration and to start the preparations for the 2nd Tour of Karamoja. Paul was clearly full of energy and inspiration accompanied by his great friend that shared the passion for the Karamoja region. 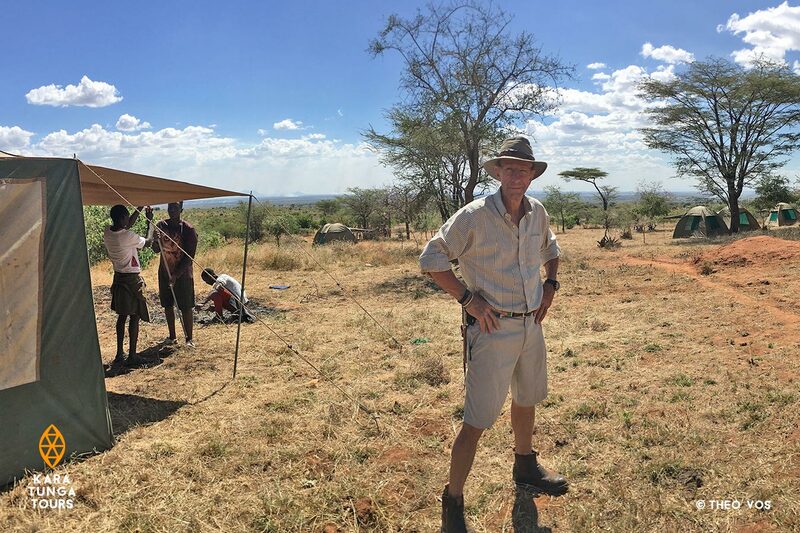 During this trip, Paul developed the idea to invest in the Kara-Tunga Guest House by building 7 ensuite safari tents and upgrade the guesthouse into Moroto’s first safari camp with a real Sherwen touch.